It's February, how many of you have already forgotten about your resolutions? When I google the topic of stash busting I get 190,000 results. Of course they aren't all just this year which just means it's an ongoing battle. I'm going to use this month to revisit some posts to highlight stash busting strategies. First up, some previous thoughts on stash management. Sometimes we just can't escape our past. I'm working on a stash down. I'm looking at good yarns but often in small amounts and different weights. I tried to bundle some of them up for donation and then fell into the trap of feeling wasteful. This is where my past comes in. My paternal grandparents came to Canada from Scotland in the late 1920s. My grandmother came from a family who while they weren't wealthy, they were hard working merchants and enjoyed the fruit of their efforts. She was the oldest daughter in a large family and all of the kids worked in the family business at very young ages. She never got over the depression. She was frugal to a fault. She lived with us from the time I was 10 so she had many opportunities to share her concerns about money. It also didn't help when my husband saw some partial balls (too small to donate) in the garbage and started teasing me that maybe I should keep it because someday I might not be able to afford yarn. Later that day I attended the Fluevog Knit Night. 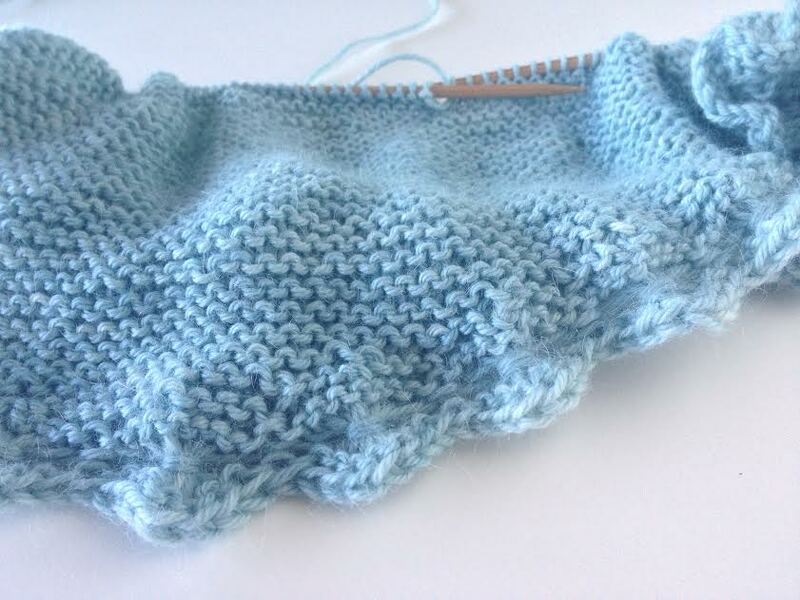 I had my social knitting project to work on since my current design project isn't very portable. My friend was working on some complex lace and cursing herself for not having something more appropriate for social knitting. My project is relatively small so it won't last much longer. 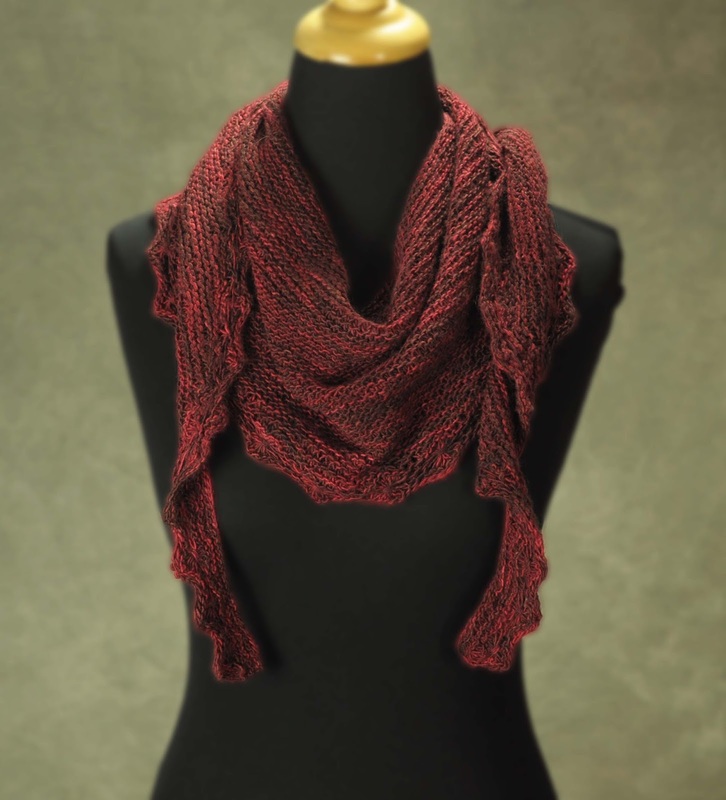 I'm knitting it in this gorgeous yarn from a trip to Rhinebeck a few years ago. 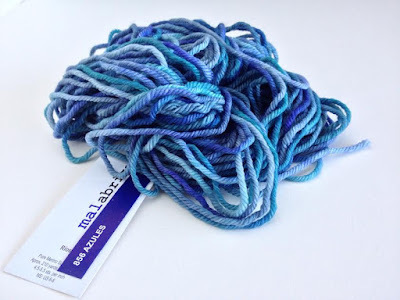 I realized this morning while sorting my stash that the yarns I'm not happy about not using could be used for some very simple social knitting projects, either in garter or something equally simple. I started grouping for colour and I wanted to share a super simple trick for combining colours. See this, it's Malabrigo Rios in the colour 856 Azules. They already developed a great colour palette that I can use as inspiration. 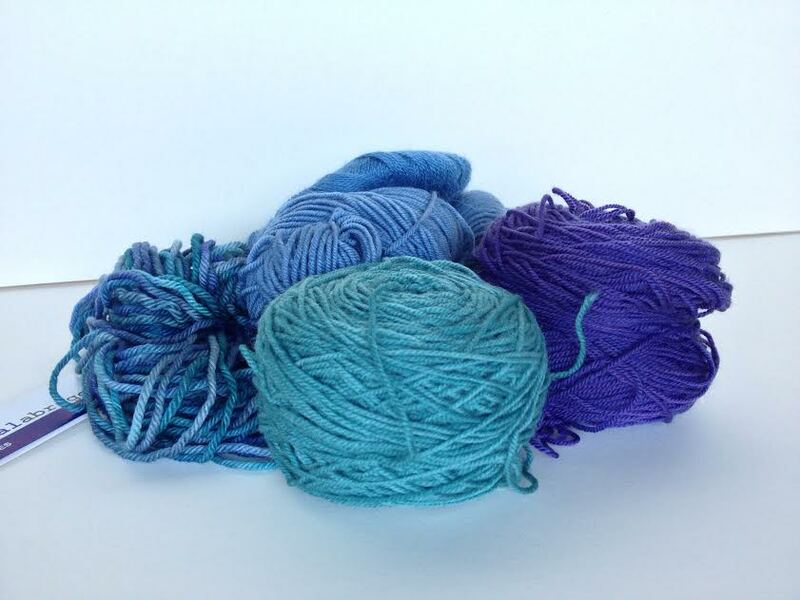 Here's a few other yarns in my stash that fall in the same colour range. The trick...all you do is hold every yarn up against the original multicolored yarn, if it looks good together to your eye put it in the use pile. If it doesn't, it goes elsewhere. I'll probably double up that lace weight. I'm thinking a maybe a cowl or a cape-let mixing the yarns together. I have more yarns than I show in the photo. I'll poke around on Pinterest and Ravelry for some inspiration and see how this goes.